A new source for Shakespeare’s plays? It’s always exciting when someone claims to have made a new discovery relating to Shakespeare and the writing of his plays. The sources of most of his work are well known: Geoffrey Bullough’s Narrative and Dramatic Sources of Shakespeare, published in eight volumes from the 1950s to the 1970s, includes reprints of the sources as well as commentary on them. It’s still the most important work on the subject although new findings prevent it being complete. 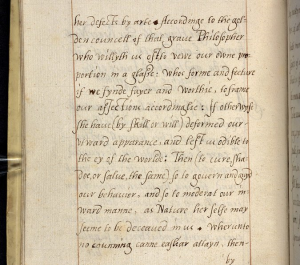 Now a couple of researchers have discovered an unpublished manuscript that they believe Shakespeare consulted repeatedly, leaving a scattering of references in several plays. The manuscript is A Brief Discourse of Rebellion and Rebels, written by George North who was a diplomat and minor figure at Queen Elizabeth’s court. The discovery has been made by Dennis McCarthy and June Schlueter, who believe there is evidence that the source was used in King Lear, Macbeth, Richard III, Henry V and several others. McCarthy also thinks that Thomas and George North might both have been working on their respective books in 1576 at Kirtling Hall near Cambridge. While it’s a wonderful thought, this seems to be pure speculation. What’s making this discovery particularly interesting is the method by which the researchers have used: rather than depending on their own knowledge or intuition, they have used computer software called WCopyfind, which was designed in order to detect plagiarism in written work submitted by students. The NYT article describes how they think the works are connected: ”The book contends that Shakespeare not only uses the same words as North, but often uses them in scenes about similar themes, and even the same historical characters.” It’s certainly not the first time digital scholarship has been used in Shakespeare studies but it’s usually been in an attempt to prove the authorship of different passages. Here they have compared the use of words and phrases with the database Early English Books Online which brings together digital versions of nearly every work published in English between 1473 and 1700, a mind-boggling collection of nearly 17 million pages. Coming up with proof is of course tricky. 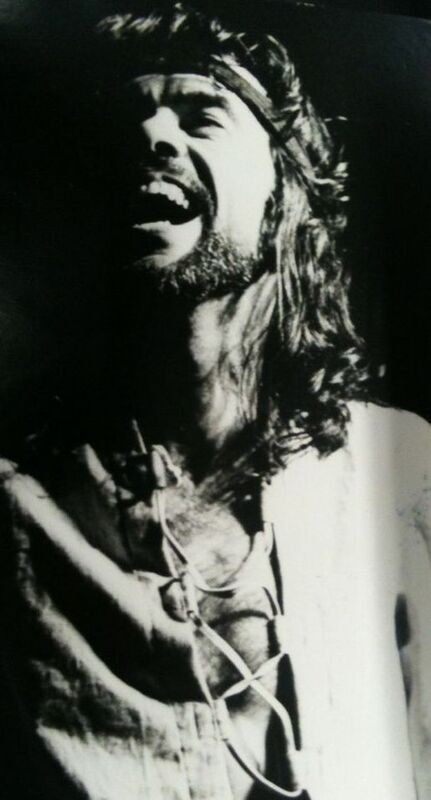 North might have taken the words from another source, also read by Shakespeare and now lost, many of the links could be coincidence, and Shakespeare was perfectly capable of inventing his own word and phrase combinations. But McCarthy and Schlueter are convinced that the connections are too interlinked to be coincidental. McCarthy is a self-taught Shakespeare scholar with a background in computer science, and this unusual starting point may have allowed him to approach the subject with more freedom. While he might be viewed sceptically, the same can’t be said of June Schlueter who has a long and distinguished academic career and here’s a link to a post about one of her well-researched essays. 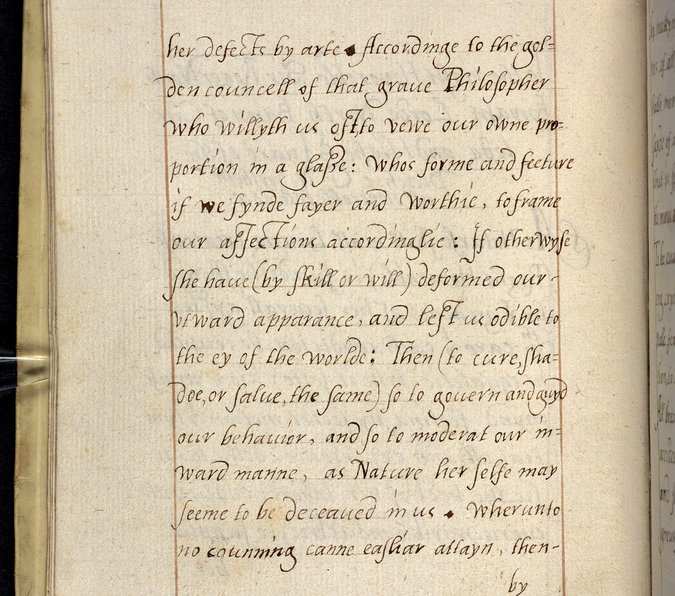 The authors suggest that North’s manuscript may help to explain obscure sections of Shakespeare, like the Fool’s prediction in King Lear, and a number of correlations are found between North and the opening speech of Richard III. Again from the NYT article “The manuscript is a diatribe against rebels, arguing that all rebellions against a monarch are unjust and doomed to fail”. Appropriately, another place where correlation has been found is in the depiction of the rebel Jack Cade in Henry VI Part 2 whose rebellion and eventual defeat is recounted in some detail by Shakespeare. Scholars have been cautiously optimistic. Michael Witmore, director of the Folger Shakespeare Library in Washington DC has said:“If it proves to be what they say it is, it is a once-in-a-generation — or several generations — find.” The book is to be published on 16 February by Boydell and Brewer in association with the British Library. It’s sure to be closely examined for years to come. 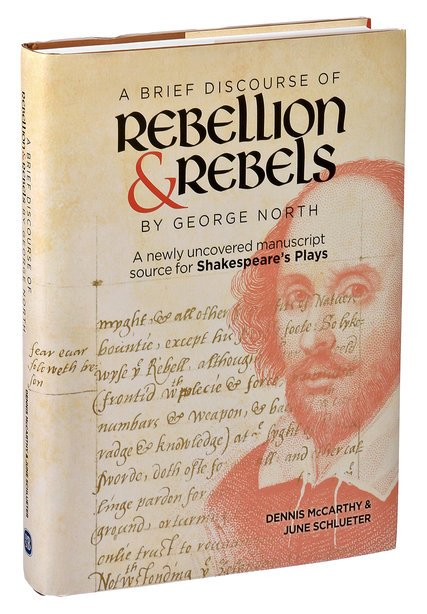 This entry was posted in Shakespeare's World, Sources and tagged A Brief Discourse of Rebellion and Rebels, Dennis McCarthy, Early English Books Online, George North, June Schlueter, Michael Witmore, sources, Thomas North. Bookmark the permalink. One Response to A new source for Shakespeare’s plays? How interesting. I wouldn’t be surprised if they are right. How typical that the MS was in a perfectly respectable library but filed under an obscure shelf mark where it was almost impossible to find.